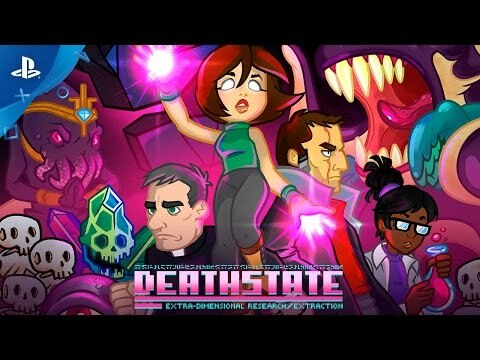 Deathstate is a Rogue-like, bullet-hell, single stick shooter. Great and terrible mysteries await if you are bold or foolhardy enough to go beyond the beyond! Deathstate is a Rogue-like, bullet-hell, single stick shooter. You play as a number of unique characters trying to discover the fate of Professor Elinberg, who opened a portal to the endless void. Great and terrible mysteries await if you are bold or foolhardy enough to go beyond the beyond!